Michael Schumacher will be turning 50 on Jan. 3 and Ferrari will be honoring the German legend with an exhibition match that would see the best Ferrari drivers duke it out. The iconic racer still holds the most F1 titles to date despite being absent on the grid for years. Right now, Lewis Hamilton is touted to be the guy that would eventually reach or surpass Michael Schumacher’s coveted record. Hamilton became the third individual to win five F1 titles and with his current momentum, he’s in a great place to earn his sixth title next year. If he grabs another chip in 2019, that would bring the British icon one title closer to Michael Schumacher’s stellar accomplishments. However, motorsports analyst Tony Jardine said that there are two drivers that are standing in the way of Lewis Hamilton, Max Verstappen and Charles Leclerc. Jardine cited Verstappen’s last season performance and said that if anyone can stop Hamilton from breaking Michael Schumacher’s record, it would be the Belgian-Dutch driver. Verstappen finished second behind Hamilton on the 2018 Brazilian Grand Prix and would’ve won the entire thing if not for Esteban Ocon hitting him during the competition. Meanwhile, Jardine said that Leclerc will be a challenge for Hamilton due to the 21-year-old’s raw potential. “Then you have to look at Charles Leclerc coming into Ferrari. He is quite a talent. You look at the Azerbaijan race where he finished sixth in the Sauber and you think, ‘Wow’. He’s always been good and now he’s got his reward. So we’ve got him,” Jardine elaborated. 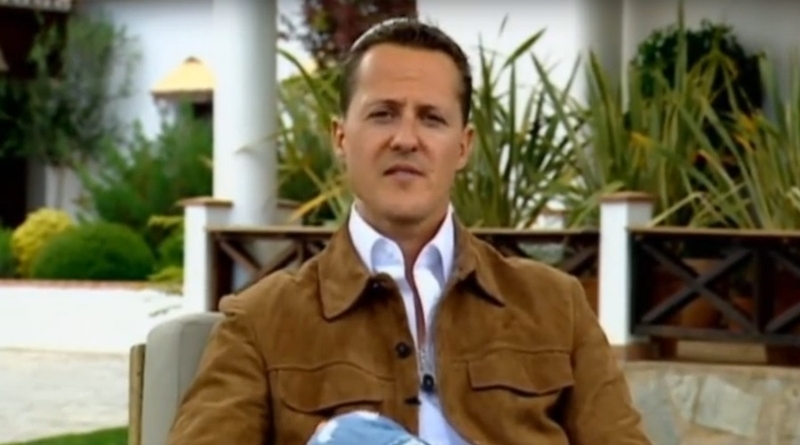 There’s no doubt that Michael Schumacher will be closely watching all three drivers when they compete in the 2019 campaign. FIA President Jean Todt said that he was with Michael Schumacher when Lewis Hamilton won his fifth F1 title. And with the three-way rivalry brewing, Todt will likely visit the German icon once again to witness history in the making when the Australian Grand Prix kicks off next March.